Wine market in India is still in its infancy. The annual per capita consumption of wine is very low as compared to many European countries. Drinking wine is not a part of Indian tradition. As such negative public and religious opinions have prevailed regarding wine, in the Indian society for many years. But with globalization and with a huge segment of Indian population becoming more educated and financially strong, the demand for wine in India is increasing. 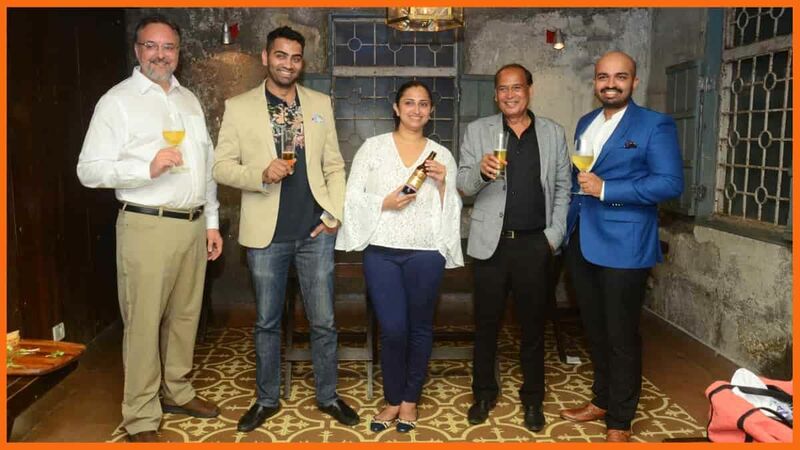 While most of the wine in India and around the world is made of grapes, Fruzzante, a brewery in Bordi, Maharashtra has given an interesting twist to the beverage by manufacturing wine with the Indian local fruit, chikoo. 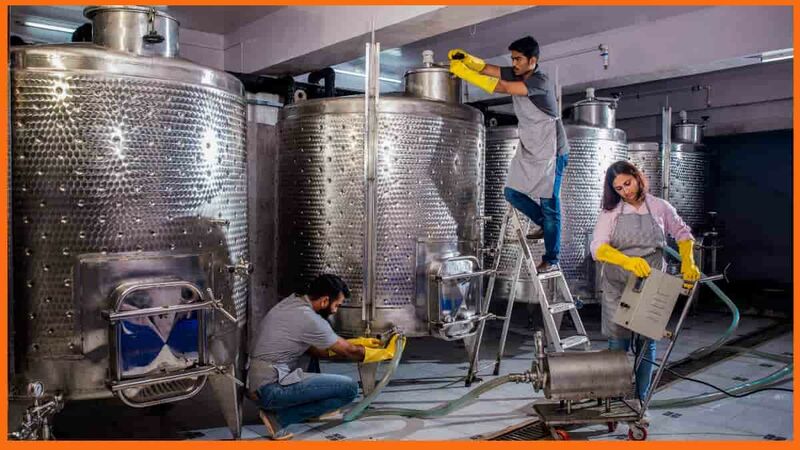 We interviewed founders of Fruzzante`, Mrs. Priyanka Save to know more about this unique wine business and their learnings. Fruzzante` is the solitary producer of chikoo wine. The mission of the company is to make quality wines from chikoo and other fruits like pineapple and mango and break the stereotype in the wine industry where wine is primarily made from grapes only. The company’s vision is to aid the chikoo farmers by providing them with the dire acknowledgment that they deserve. Our journey began from the grassroots and will forever be respectful of that. According to the India Wine Market Overview (2018-2023) report, Indians are becoming aware of the health benefits of wine. As such, the Indian wine market has grown with a CAGR of more than 25% in the past five years. A recent report by Dataessentials, revealed a 39% increase in the inclusion of beer and wine-based cocktails in menus. For instance, combinations of gin and sparkling wine with a melon slice or rum with prosecco and fruit juices are gaining popularity. Keeping in view this shift in consumption patterns and preferences in alcohol beverages, producers will have to come up with complex flavors and preparation methods. Many varieties of drinks such as ‘smoked’, ‘toasted’, or ‘pickled’ are being introduced to cater to the younger demographic. Also with wine consumers becoming more health conscious and concerned about calories, bloating and headaches, producers are on a lookout for healthier ingredients like vegetables and fruits. According to Priyanka, India has the prowess to compete on a bigger scale in the wine industry. The mismatch in production will steadily level up within the next few decades which makes it an interesting market to be a part of. Priyanka has childhood memories associated with the chikoo orchards of Dahanu-Gholvad in Maharashtra. In 2004, a seed borer disease severely affected the chikoo plantations. The chikoo market was hard hit due to this disease and the farmers had to cut off their plantations. The market acceptance of the fruit was severely affected. 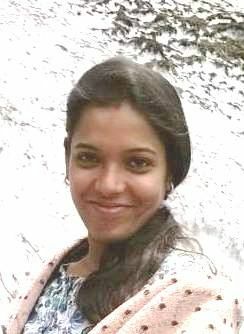 Priyanka’s family owns Hill Zill resort in Bordi, 25km away from Dahanu and they thought of reviving the chikoo market. Their initial idea was to process chikoo in a packageable form. But products made from dried chikoo failed to attract customers. Again, chikoo juice was highly perishable. Finally owing to the fermenting nature of the fruit, it was decided to start making wine with chikoo. They visited numerous wineries in India as well as overseas to acquire precious knowledge about perishability, extraction, fermentation, storage and packaging. After all the research the brewery was set up in the family’s resort in Bordi. We wanted a name to indicate both fruit and fizz. Hence the name Fruzzanté. Fruzzante` logo is a stamp that indicates quality consciousness which is their priority when manufacturing a product. Fruzzante` is the world’s first and only producer of a cider-style alco beverage made from chikoo extracts. It is also the only company producing fruit-based and non-grape bottled products in the wine category that is currently commercially available. Its products are both vegan and gluten-free which makes it a healthy choice as well. Apart from chikoo cider wine, Fruzzante` has also released other variants in the vegan beverage range made in cider style including Pineapple, Mango and Spice Garden (Cinnamon, Ginger and Honey with chikoo). They also have a sparkling white wine made from star fruit blended with grapes under the brand name JIWA and a premium honey dessert wine or mead under the brand name ARKA. The wine MRP is Rs 255 for 330 ml. The cost is also considering the 100% Excise duty applicable on the product, unlike grape wines that are duty-free in Maharashtra. 20% VAT is also applicable, unlike grape wines where 16% rebate is applicable. The company has approached state governments several times to treat all fruit wines as equal and be given the same benefits as grape wineries enjoy. However, it awaits an answer on the same. Acquiring the first 50 customers came rather easy. The winery being a part of a 30-year-old family owned resort, they started with giving winery tour to all room guests. A lot of appreciation along with business came along as the winery tour activity got more and more popular. The initial challenge was that regarding the nature of the raw material, chikoo. There were problems with high pH levels, uneven ripening, and low shelf-life. The fruit is immensely dissimilar to fruits like grapes which ripen naturally and harvest easily. It rather requires controlled environments, and hence the Company resorted to ripening in chambers that control the natural ripening process as opposed to non-organic means. The benefit was uniform ripening and hence better quality of juice, thereby resulting in a quality product. Fruzzante`also faced several challenges in terms of processing the fruit. But Priyanka and Nagesh being experienced mechanical engineer, they were able to handle the issue efficiently. They created conducive environments with the use of impeller pumps and fermentation tanks on north facing stilt levels (least sun exposure) to ensure less cooling and power savings. The further implementation of automatic temperature- controlled systems, cooling jackets, and ozonators helped maintain hygienic and sterile conditions. There were also challenges in packaging the highly perishable fruit, which was eventually solved with the help of a fully automatic bottling filling machine. This enabled appropriate and efficient rinsing, filling, and capping of the bottles. Therefore, the bottling along with the air-conditioned storage facility helps maintain comfortable temperatures for product storage. With all the challenges the Company faced, it hasn’t relinquished or compromised on the stance of placing quality before anything else; a vital element in any process. Fruzzante` has made its products available in Mumbai, Pune, Nagpur and soon will expand the market in Kolhapur too. Many associate a sense of pride with the product which we feel is our biggest achievement. In order to reach out to more customers, Fruzzante` envisions working with several other fruits while maintaining quality standards. In today’s market, consumers are looking for authenticity in their products because they are being bombarded with adulterated products. Fruzzante`, therefore, strives to represent honest producers who understand the need of the market and bridge the gap through authentic, unadulterated, and tested products. As a home-grown brand, we bring the traits of understanding, compatibility, and reliability to the table. Priyanka Save and Nagesh Pai who are Co-founders of Fruzzante`. Mr. Shrikant Save has been helping the company reach out to the export market. Fruzzante` also has a bunch of sales staff and creative support team as well. Fruzzante` has not raised any funding from institutional investors. however it has took a financial loan from a bank to set up the plant and machinery. Fruzzante is unique in the sense that it is the only fruit-based non-grape bottled product in the cider-style beverage category currently available commercially. Its products are both vegan and gluten-free which makes it a healthy choice. Hence, it does not have any direct competitors in its niche. However, on a broader scale of wine manufacturing, it is competing against Chateau Indage, Grover Vineyards, Sula Vineyards and Sankalp Wines among others. Fruzzante` wishes to diversify their product range further. Their expansion plans include working with several other fruits in the near future. It will also be tying up with B2B trade companies in the state of Maharashtra, which they believe will enable them to form a consolidated network in the state and enable them to traverse into other parts of the country as well. Mr. Dominic Rivard and Mr. Ajit Balgi are the guiding light behind Fruzzante` venture. Rivard is an award-winning winemaker and cider specialist in Canada. Mr. Rivard owns the Bulwark Ciders and Red Barn Winery in Nova Scotia. AMr Balgi is instrumental in brand building and is consulting the company. Certain highlights or milestones along our journey fed our beliefs and strengthened our hope. Fruzzante` won the silver medal at “Drink Outside the Grape” challenge 2017 held in the United States. Fruzzante` competed against 145 global wines and ciders and emerged as a winner. However, its biggest milestone continues to remain in bringing the chikoo market back on the map. Team Fruzzante` acknowledges the contribution of the farmers towards the making of the brand. As such, the company mentions the Warli tribe on the labels of each product. In addition, the proceedings from the sale of the special “Starfruit Jiwa” flavor of the drink are contributed for the well being of the tribe, as a mark of respect and remarkable achievement in bringing the chikoo market back to life.